Hey! 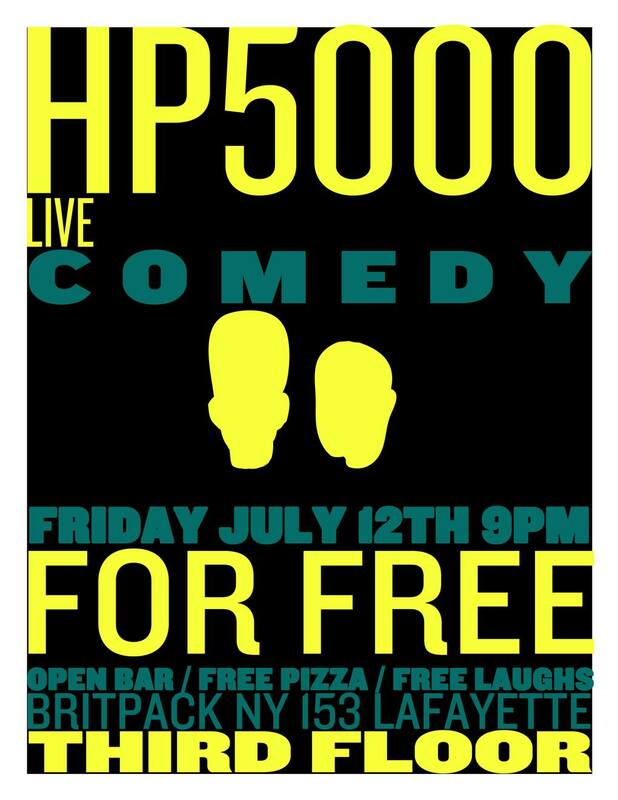 It is once again time for me and my fake brother Lukas Kaiser (senior writer, Spike TV) to put on our monthly comedy show, HP5000! Free comedy! FREE PIZZA! FREE DRINKS!! This Friday, July 12th. Doors at 9, show at 9:30. ← Upcoming Show: The Cranky Pants Comedy Hour!